Two bits of news. 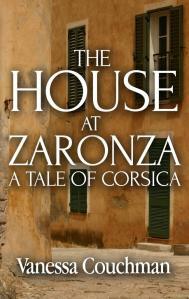 First, after much dithering, I have finally started the sequel to The House at Zaronza. When I say started, I mean that I have begun to plan it in detail. The actual writing comes a bit later. I didn’t originally plan to write a sequel. But so many people who have read Zaronza have asked me about a sequel, that I realised there is scope for one, set mostly during World War II. I have been carrying the idea in my head for months. Now, it is seeing the light of day. I won’t say much more for now, since I am still struggling with various plot holes and issues. But watch this space. Now to the second bit of news. Everyone says what a solitary occupation writing is. This is true, in the sense that writing isn’t exactly a team activity. But the community of authors is close knit. You might expect us to be in competition with each other but, actually, that isn’t typically the case. Writers help each other where they can by critiquing, encouraging, promoting, publicising and reviewing, in the knowledge that it will usually be paid back. And mutual back scratching helps sell books. I’m fortunate to belong to three writing communities where the spirit of support is strong: online ex-pat writers’ group Writers Abroad; the group of authors published by Crooked Cat Publishing; and the Parisot Writing Group, 10 ex-pat writers in my neck of the SW France woods. Members of all three groups have provided help and advice with my writing. Some have invited me onto their blogs to guest post or to answer questions about my writing. I’m eternally grateful and it’s my turn to reciprocate. So, as of next Friday 6th February, I will welcome a guest author almost every Friday. Some of them will write a guest post and regale us with their words of writing wisdom; others will join me on the chaise longue (well, this is France) to be interviewed. Friday 6th February – interview with author Miriam Drori, whose début novel Neither Here Nor There was published last year. Friday 13th February – post by seasoned historical novelist Nancy Jardine, whose new Young Adult novel is about to appear. Friday 20th February – interview with fellow ex-pat in France, Wiccan High Priestess and novelist Ailsa Abraham. Friday 27th February – interview with novelist Helen J. Rolfe, whose début novel The Friendship Tree is published that week. I can promise you some interesting encounters. This entry was posted in Author interviews, Corsica, Guest posts, Novels and tagged author interview, Crooked Cat Publishing, fiction, historical novel, The House at Zaronza, writers, Writers Abroad, writing community by nessafrance. Bookmark the permalink. Can’t wait for the sequel!!! Really pleased you’ve decided to go for it. Looking forward to being number one! Looking forward to having you aboard, Miriam!